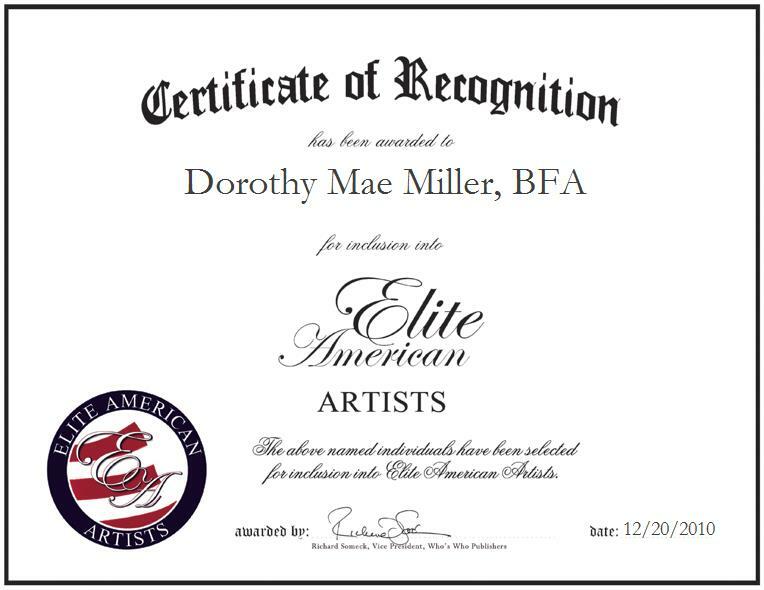 Dorothy Miller, Painter, Photographer and Poet has been recognized by Elite American Artists for her achievements with large scale, watercolor paintings and portraits. Ms. Miller’s expertise includes coloring, and the construction of portraits and large scale paintings. She does photography, marketing, portrait constructing and large scale paintings as well as coloring for her business. She attributes her success to her determination to accomplish her goals.